The Ferrari LaFerrari is a wildly high-tech and pricey machine, worth at least $1 million in most cases. But this one may soon be an expensive paperweight thanks to one dumbass who doesn’t think import laws apply to him. 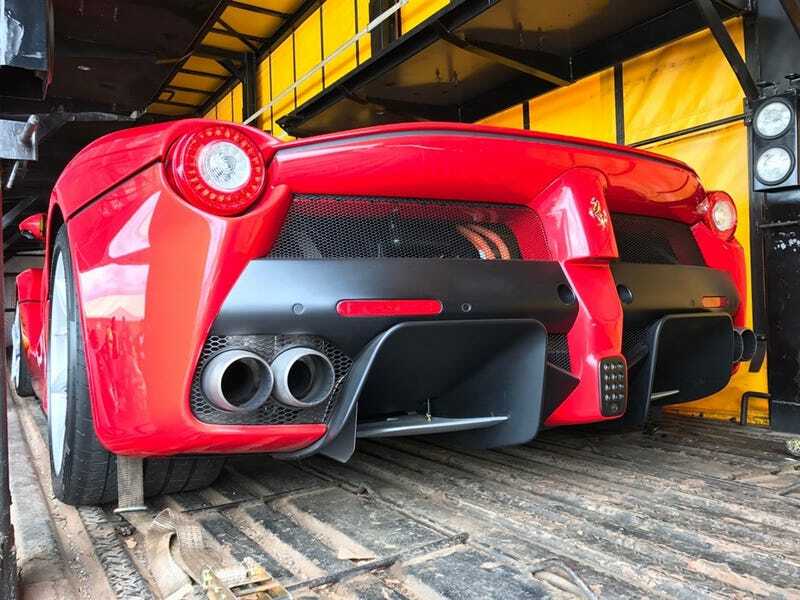 South African news service Fin 24 reports the government there has seized this LaFerrari after the owner tried to smuggle it into the country—again. This was the second attempt to sneak the vehicle in and if the owner cannot produce the correct paperwork to release the car, it will be crushed into a cube. The news service reports this all started when the owner tried to sneak the car into the country in 2014; despite the fact that he could afford a multi-million dollar hypercar, he couldn’t come up with the money to cover the import taxes and fees. So the authorities held the car in a warehouse for three years. This year the owner concocted a plan to get the Ferrari out of South Africa and take it to the Democratic Republic of Congo. The vehicle was released to the owner and was permitted to cross the border. Just one day later, Mr. Dumbass tried to sneak the car back into South Africa at the very same border crossing where he left the day before. I’m assuming he figured he could employ had some kind of Jedi mind trick on the border guards and convince them that this was a totally different LaFerrari than the one they had just seen. 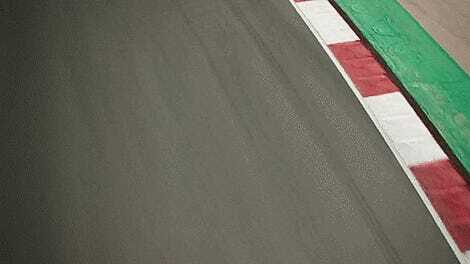 A sound strategy for sure, as LaFerraris are so very common in South Africa. When it was first brought into the country, the owner failed to follow correct import procedures including paying the necessary customs duties and VAT. As a result, the vehicle stayed in a bonded warehouse for three years because the owner could not finalize the required customs processes. Then in February 2017, the vehicle owner submitted an export declaration to take the car to the DRC through Beitbridge border post. A day later, there was an attempt to have the vehicle return to South Africa through the same border post. The main problem with the car, in addition to the fact that the owner didn’t want to pony up a few hundred grand for the import tax, is that this particular LaFerrari is a left-hand-drive model and those have been deemed illegal for import into South Africa since 2004. While you may feel that the importation of a left-hand drive car into a right-hand drive country is a bit silly, especially for such a rare model, the owner was probably well aware that this would be an issue and tried it anyway. If the owner cannot go through the proper channels to justify the importation of his LaFerrari it will be crushed.